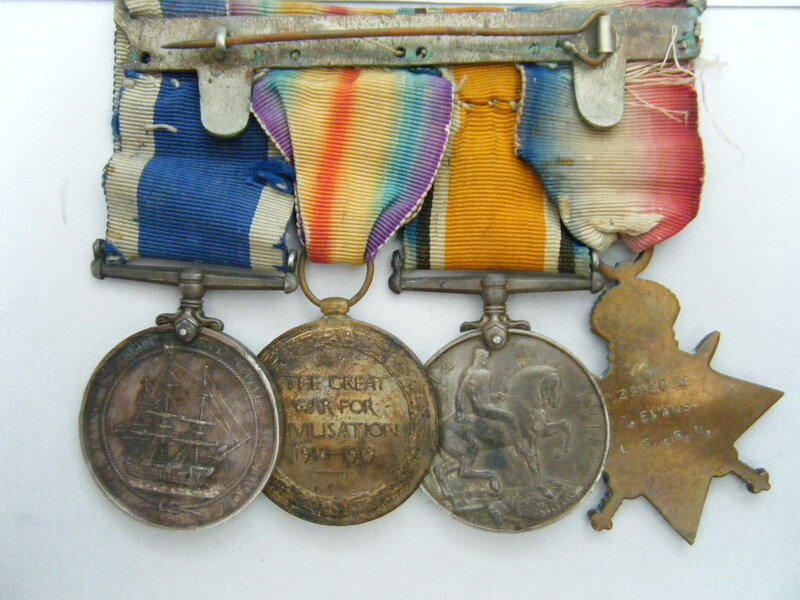 WW1 Royal Navy medal group with Long Service and Good Conduct Medal awarded to 238216 Frederick Evans. Evans from Exeter, Devon was born in 1889 and joined the navy in 1907 as a boy sailor (aged 12). His WW1 war service includes: HMS Bellerophon April 1913 to January 1915, Shore placement at HMS Vivid and Vivid 1/II and Europa II between January 1915 and May 1917 and finally HMS Ramillies between May 1917 and January 1920. He served on HMS Warspite in 1923. 1914-15 Star named to 238216 F. EVANS, LS, R.N. 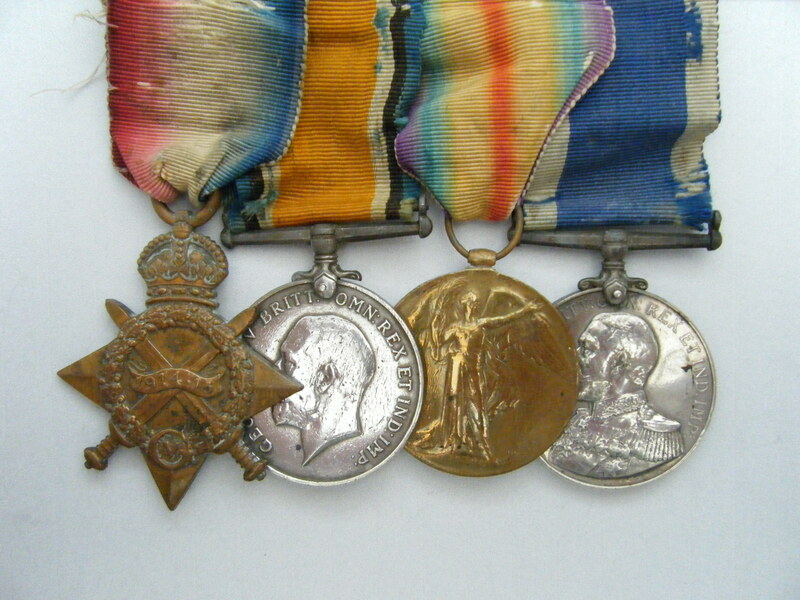 British War Medal and victory Medal named to 238216 F. EVANS, P.O. R.N. 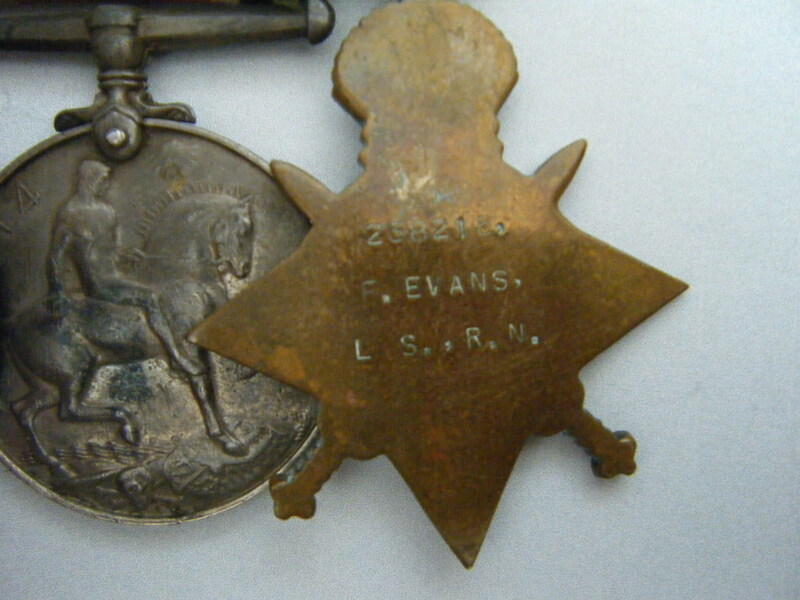 Long Service and Good Conduct Medal named to 238216 F. EVANS, P.O. HMS WARSPITE. Swing mounted on original ribbons in the traditional naval overlap fashion. 1914 Star ribbon a little worn but as the remainders are original its’ not been replaced. Included with this listing is a printed copy of his service records and a copy of the medal roll entry for the LS&GC Medal. 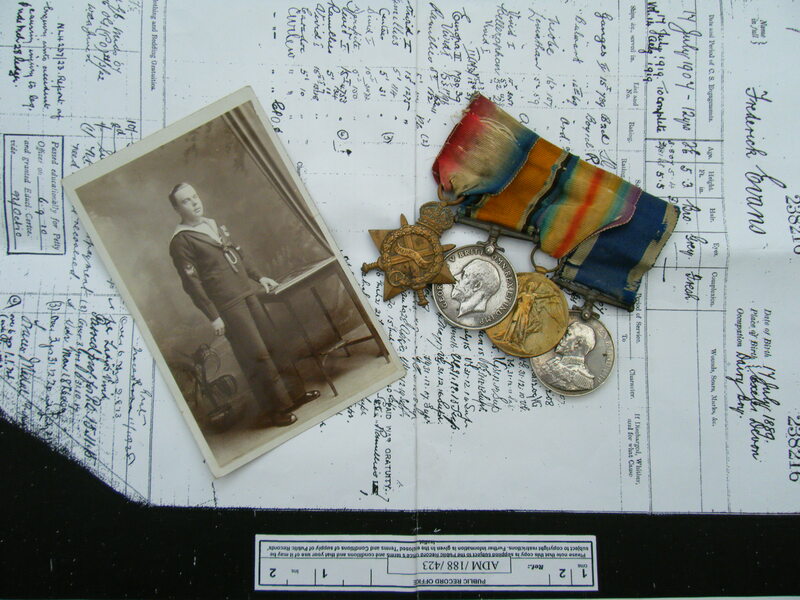 He is also listed in the ‘Royal Navy Roll Of Honour 1918-39’ as a ‘Chief Petty Officer’ which can be viewed by clicking on here.